Trash pick up days will remain the same. Map to come. 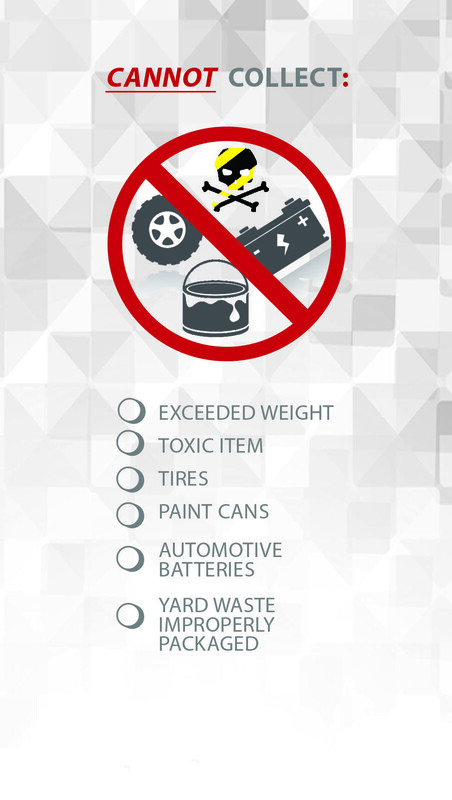 Bulky items include items such as: yard waste, furniture, toys, etc. should be placed next to the cart on the Second Collection Day. Yard waste such as leaves, grass, clippings, weeds, tree and shrubbery should be bagged and placed next to the cart on the Second Collection Day. The weight should not exceed 35 pounds. White Goods include items such as refrigerators, ranges, water heaters, washers, dryers, freezers, etc. Please contact the customer service center at (985)359-2116 or visit www.metroservicegroup.com for more information. The Parish recycle yard located behind the Percy Hebert Building, 1801 W. Airline Hwy, LaPlace, consists of 2-30 yard dumpsters and several bins to recycle newspaper, books, motor oil, and aluminum cans. Residents can bring up to 5 tires a day to the yard. The recycle yard is opened from 7:00 a.m. to 3:00 p.m. Monday through Saturday and is manned by one employee.